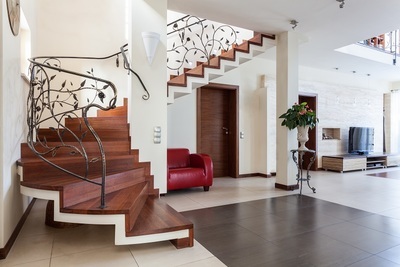 If you have a bungalow, villa or even a small one storey house, you must surely be knowing that the stairways that connect these two levels are not just a basic necessity, but a step beyond. The staircase is a vital element in architecture and interior design. This is so, because it has to be classy, chic as well as functional! There are several advantages of a staircase for a modern house but those really depend on the size and features of the staircase. Stairways are not just meant to go up and down from one level to the other. They can also be the center of attraction in a house based on the interior decoration, material, and placement. Alternatively, the structure and design of a staircase can also offer innumerable functional aspects like under stairs storage structure. The modern architecture and interior’s style today offer a wide variety of staircase designs to meet the requirements of individuals. Unconventional, modern, practical, and futuristic solutions are offered by the designers these days. Given below are some of the best staircase designs of the modern era. Spiral staircase is very popular among the homeowners, especially people living in duplex flats and those who have lofts. 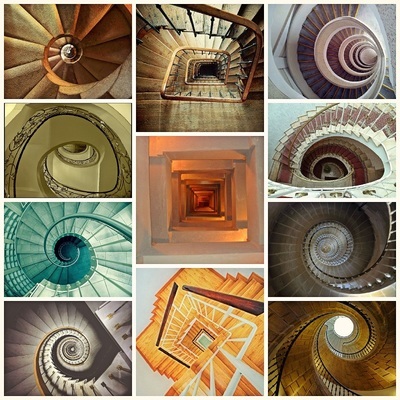 The spiral staircase designs look elegant and chic in any kind of home interior. If we look at it from an interior design’s point of view, then it can very well be turned into an art form to satisfy the aesthetical requirements of the home owners. There are a variety of designs for the railings, stairs, and the central column. If you want that “Wow touch” to your home, then adding this stairway is a necessity. Alternatively, this staircase can be of practical use too. For starters, it occupies less floor space and thus it becomes a favorite among flat owners or home owners with a space crunch. Next, the shape of the staircase allows it to be a perfect fit in a variety of places like corner, center of the room, or along the wall. Winding staircase is another favorite among the various staircase designs. The beautiful curve lines are a magnificent example of the extravagance in the interiors. This is the reason why winding staircases are commonly found in the castles, mansions, royal palaces, and large buildings. But, all this does not really mean that these staircases cannot find a way in the small and modern homes. Yes, winding staircases do need a large area for construction, but they do have practical use of space under and around it. A big advantage of installing a winding staircase in your home is the safety and stability that it provides in comparison to the other structures. These staircase designs are popular as futuristic and unconventional. They almost appear like floating in air and hence the name. It is a good change from a classical beauty. These stairways are a great choice for homes with contemporary, futuristic, and minimalist interior designs. The structure of the staircase is such that it acts as a camouflage and provides an illusion of emptiness around the room. There are a variety of designs like no railings or visible support, alternating steps, open stair plan; these designs often look as if they defy gravity and the steps are floating in air. They are eye-catching but definitely not meant for homes with small children! Each inch of your house counts where interior designing is concerned. This is true because homes these days have minimal space and homeowners look for designs that can add utility to it. Like the practical options for storage that offers space illusion and make the room appears large. This really becomes a challenge for every designer. Now, staircase is an important part of a house as it provides a convenient passage up the floor, loft, attic etc. Space saving staircase designs have a very small footprint and can be installed in tight-sized apartments too. The other great feature about this kind of stairway is that there are storage solutions offered around and below the same.